If there was ever a patron saint for this site, it would be someone that built an extension to their house contain their personal library of over twenty thousand books. 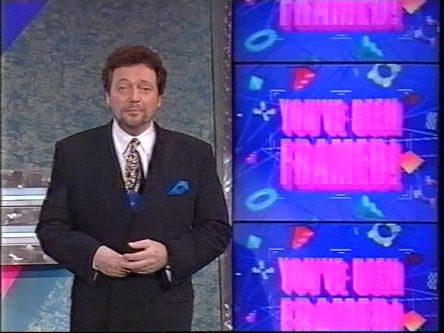 There was a time when facts, even trivia, were the result of hard-thought searches, and Jeremy Beadle (1948-2008), writer of many trivia and quiz books, wanted to be the British equivalent of Robert Ripley, he of the “Believe It or Not!” series of cartoon strips, TV shows and museums. 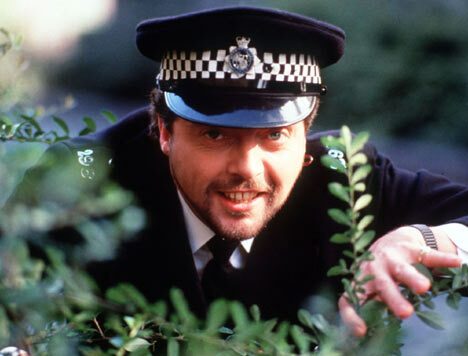 However, Beadle’s engaging personality made him the face of a series of TV programmes that proved the viewers at home were as entertaining as the people they watched. · Through a number of jobs, from taxi driver to tour guide, Beadle became editor of a Manchester version of the listings magazine “Time Out,” which was ultimately short-lived. He later helped organise the Bickershaw Festival in Wigan, in 1972, known to this day both for the bringing in acts like the Grateful Dead, Captain Beefheart, Hawkwind and The Kinks, and also for dissolving into a sea of mud. · Beadle’s first presenting job was on BBC Radio London, in 1974, for a programme about the Campaign for Real Ale, on whose executive committee he sat – earlier this year, its job declared done, the Campaign started considering whether to start saving pubs instead. · Beadle secured a job writing questions for the quiz show “Celebrity Squares” by sending samples to its host, Bob Monkhouse, who also wrote questions for the shows he presented – the two assumptions to be made are that the questions were of a high quality, and the decision to send them without the answers was entirely deliberate. · Much like Richard Osman’s role on “Pointless,” Beadle became the presenter of ITV’s audience participation show “Game for a Laugh” (1981-85) because the best person to put on the air was the one that describes the show the best, drawing the audience in the most. · “Game For A Laugh” was a mix of studio games and hidden camera stunts, the former adapted from the US game show “Truth or Consequences” – a town in New Mexico renamed itself after the show to attract it for a visit, and remains under this name to this day. The stunts were continued in “Beadle’s About” (1986-96), and joined by unintentional versions of the same in “You’ve Been Framed,” which began in 1990. 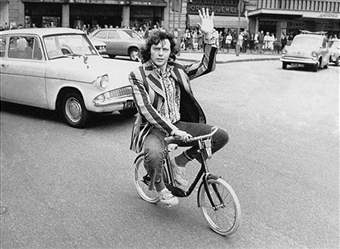 · A short-lived, pre-YouTube showcase for videos made by the public, “Beadle’s Hot Shots,” received a video from future film director Edgar Wright (“Shaun of the Dead,” “Hot Fuzz,” “The World’s End”) – he was featured on the pilot, and worked as a researcher on the first series. · Beadle’s ITV shows ended in 1997, after appearing on screen at least once every weekend for years. However, the books continued, series on radio and television continued, as well as an interesting Channel 5 quiz show, named “Win Beadle’s Money” – he only lost his appearance fee eight times out of 52 shows. · Jeremy Beadle raised an estimated £100 million for charity in his lifetime, including for the charities Children with Leukaemia, and for Reach, a charity to help children with hand or arm deficiencies, and their parents. That Beadle was among the first people with a disability to appear regularly on television, a stunted right hand resulting from having suffered from Poland Syndrome as a child, and to have that not be an issue for the entire time he was in the public eye, is as remarkable as Paralympics GB’s successes in London and Rio de Janeiro. · Anyone that causes a person, in this case a Janet Elford, from Dorset, to sincerely ask an “alien” if they want a cup of tea, deserves to be remembered.